The History Channel has a great little bit of information about April Fools Day which seems to start as early as the 1500's but was more official in England in 1700 when court fools played pranks on each other on this day and made it an annual event. Now we try to play early pranks on our friends and family, though it is said that by noon, all the magic of pranking must end. Prank for fun everyone. But please, do not be mean. There should be laughter for all on this day not tears. In light of the theme of fools, pranksters and tricksters, We will have a special workshop on Trickster/Teachers hosted by Robyn. 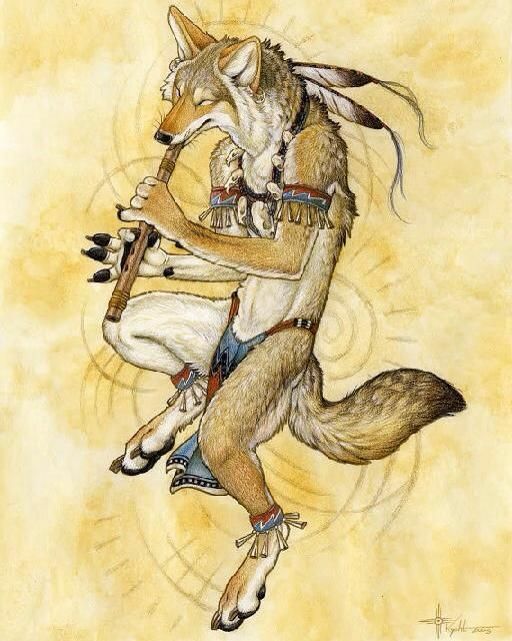 ​Coyote, Morrigan, Loki, Maui, Anansi.. Perhaps you've heard the legends, but have you ever wondered how (or WHY??) one might go about the worship of a Divine Trickster? Join this workshop ​to learn more about their role among the other gods, as well as what one might do if called to serve them. Stories, spiritual practices, and laughs guaranteed! Tea & Talk Witches Style!